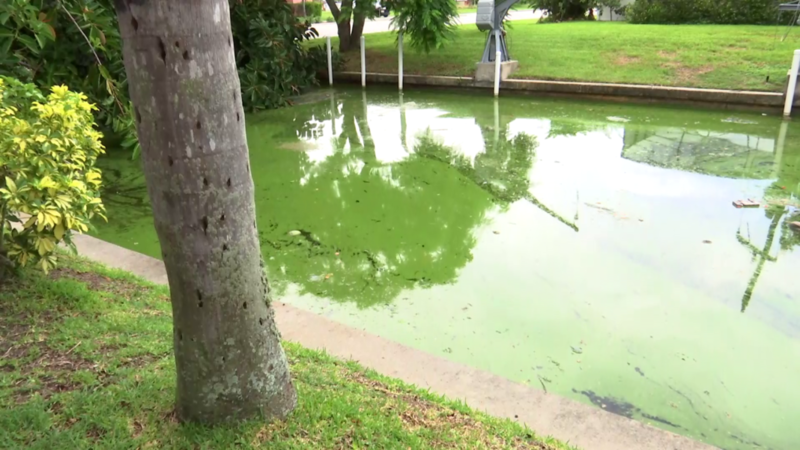 It’s a sight nobody wants to see – dead animals covered in algae in their backyard. Cape Coral resident Maria Farmer says she saw ducks roaming around behind her house Thursday morning. Later in the day, she found them dead, stuck in algae muck. The Clinic for the Rehabilitation of Wildlife (CROW) says they can only help living animals, and only if they’re in distress. The Florida Fish and Wildlife Conservation Commission (FWC) asked if neighbors could bag, freeze and ship the animals for testing, because they don’t have the resources right now to have someone come out. Remember it’s best to avoid getting the algae on your skin. 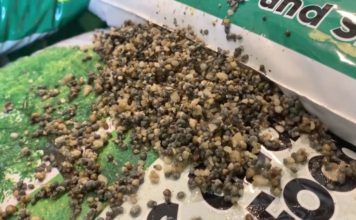 A veterinarian told WINK with more releases starting again Friday, more algae will likely show up, and likely kill more animals in the water. A laughing gull was rescued from a canal in Cape Coral after it was seen struggling and unable to fly. According to CROW it was covered in blue-green algae at the time it was rescued. The gull was taken to a drop-off location and transported to the clinic by one of their volunteers. When it arrived, the remaining algae was cleaned off and an IV was placed to provide the bird with fluid therapy to help flush any toxins out of the body that the bird may have ingested from the algae. CROW said, further diagnostic testing is being performed to determine any other medical concerns that may need to be addressed. 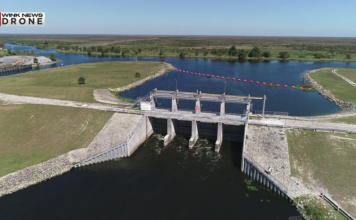 Governor Rick Scott announced that the Florida Department of Economic Opportunity (DEO) has activated the FloridaDisaster.biz Business Damage Assessment survey to gather information on how algal blooms caused by federal Lake Okeechobee water releases have impacted local business operations. The survey can be taken at FloridaDisaster.biz/BusinessDamageAssessments by selecting the “Lake Okeechobee Discharge/Algae Blooms” event. For additional assistance, call 850-815-4925.